This renowned garden of Zen is called "the garden of Ryu-en-sui." 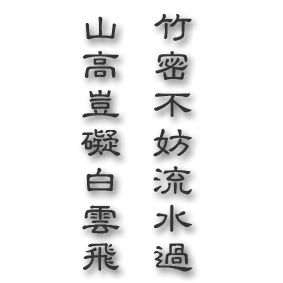 "Ryu-en-sui" means "the water of the abyss where a dragon lives." This garden is one of the great gardens designed by Muso Soseki in the 15th century. 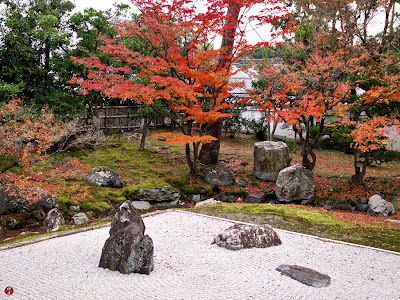 This garden is located in front of "Kaizan-to" (the founder's hall) of this Zen temple. The colored wood statue of Muso Soseki is enshrined in this Kaizan-to as the great founder of this temple. The stone-built ditch outside the Kare-sansui rock garden was once filled with clear running water.